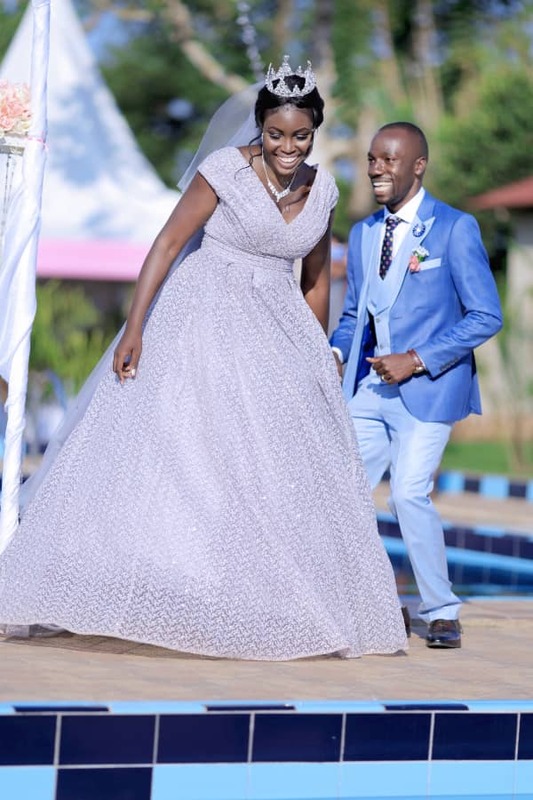 Although Joy can hardly remember the details of the morning on her wedding day with Anderson, she speaks with a great conviction that everything “was spectacular”. 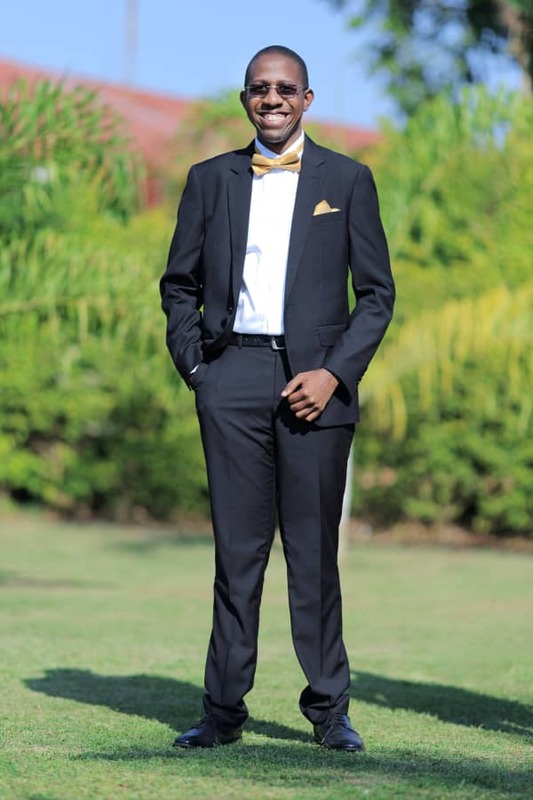 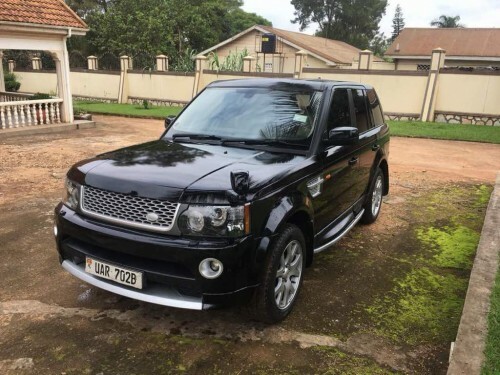 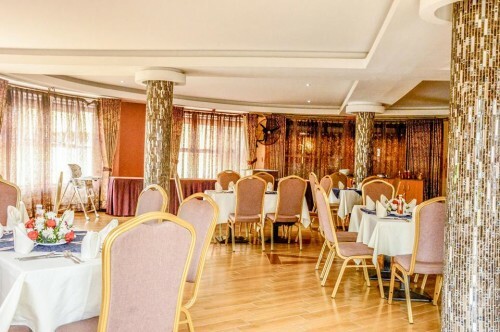 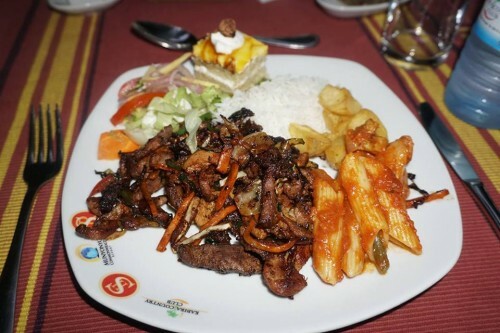 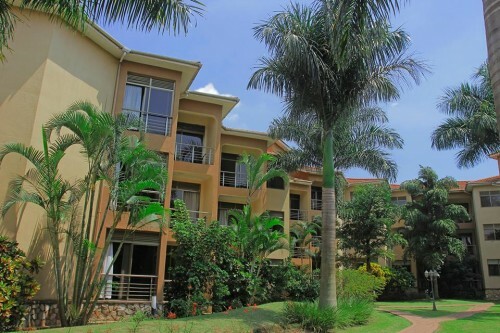 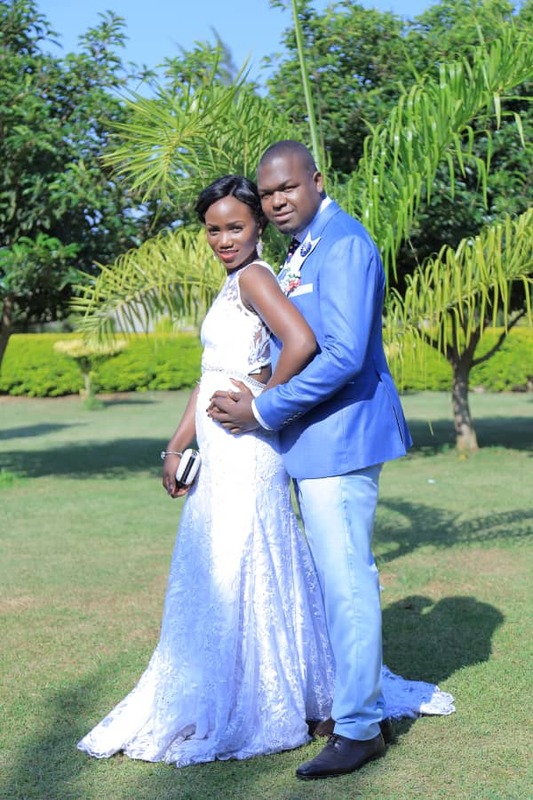 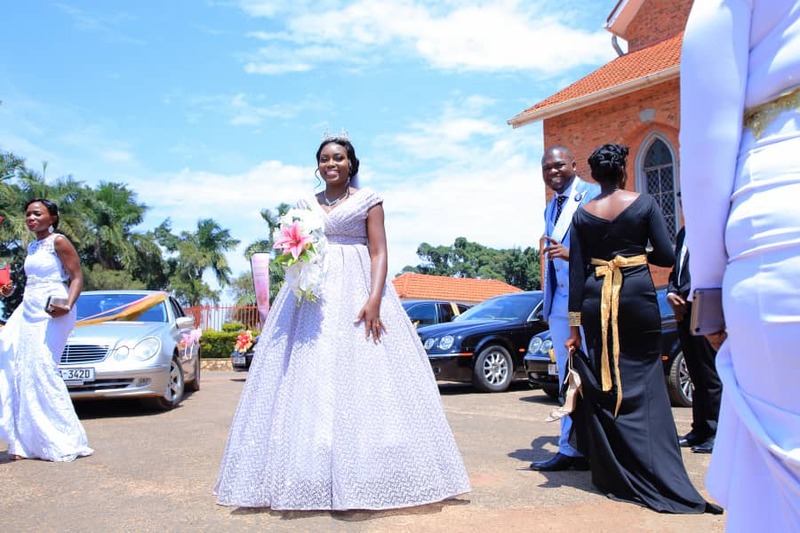 When Anderson Musisi laid his eyes on Joy Keziah, his intuition instantly told him that he had met the woman of his dreams. 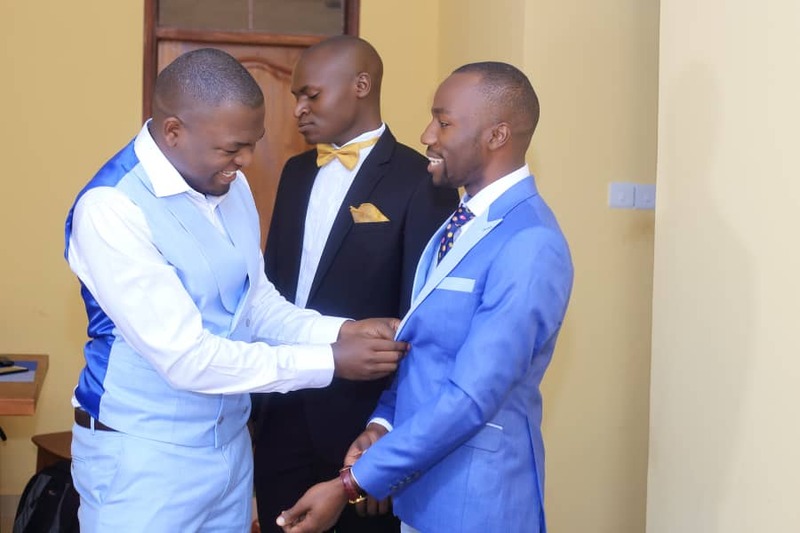 It all happened about five years ago when the two met at university. 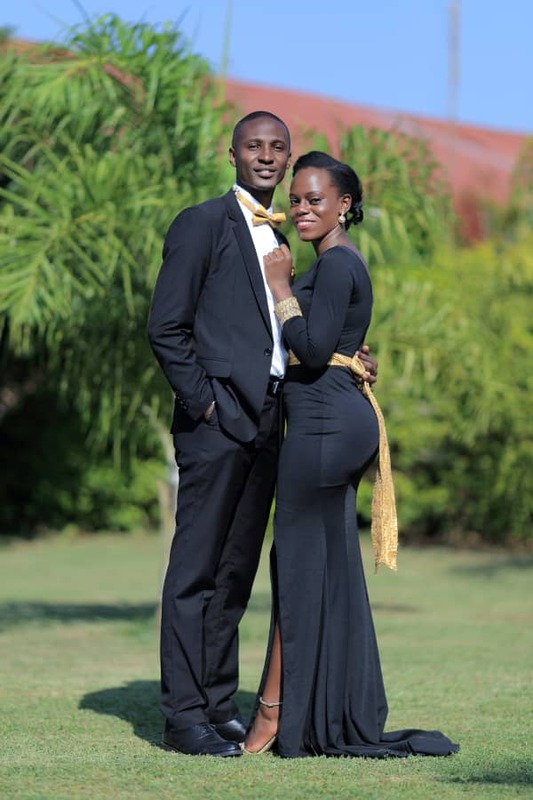 “We met at university in 2013. 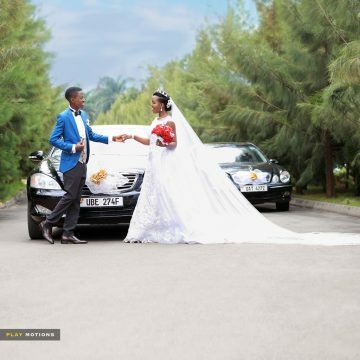 He was two years ahead,” Joy narrates the genesis of their love story with Anderson. 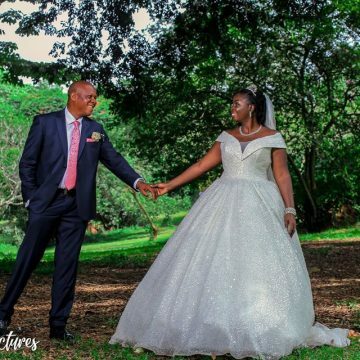 “We were friends until March 2017 when he proposed. 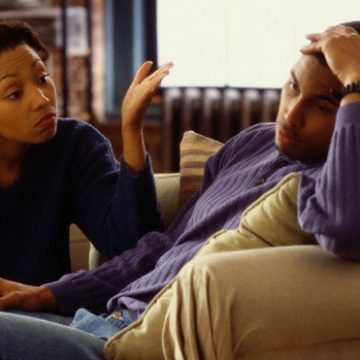 Then we started dating,” she adds. 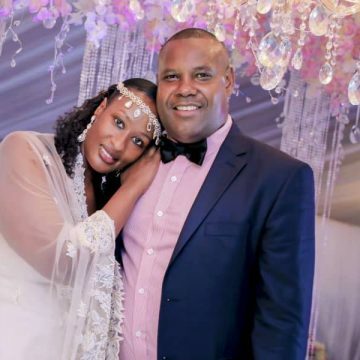 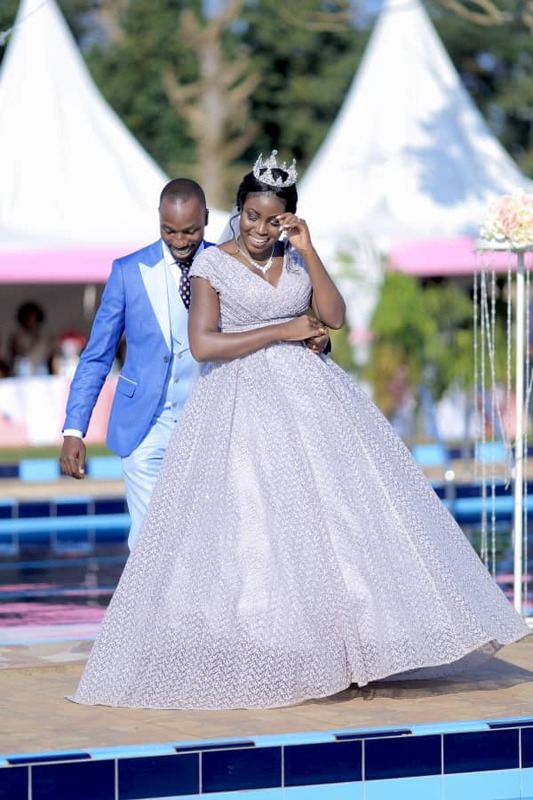 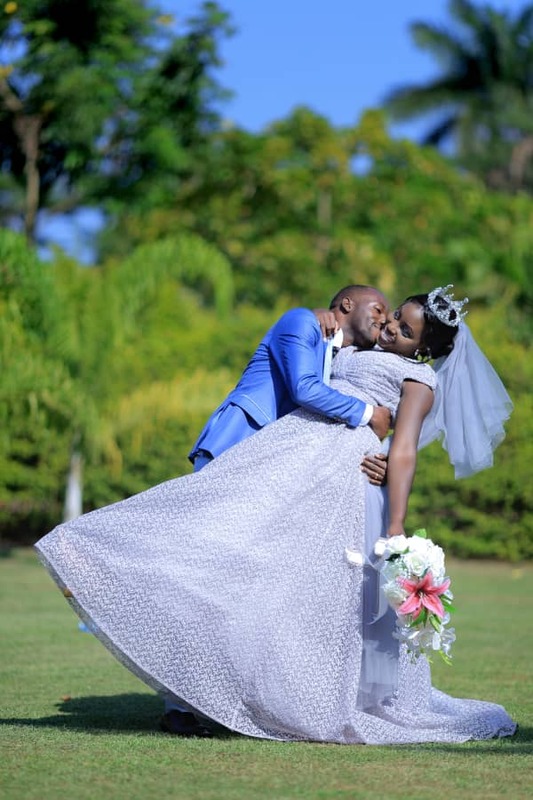 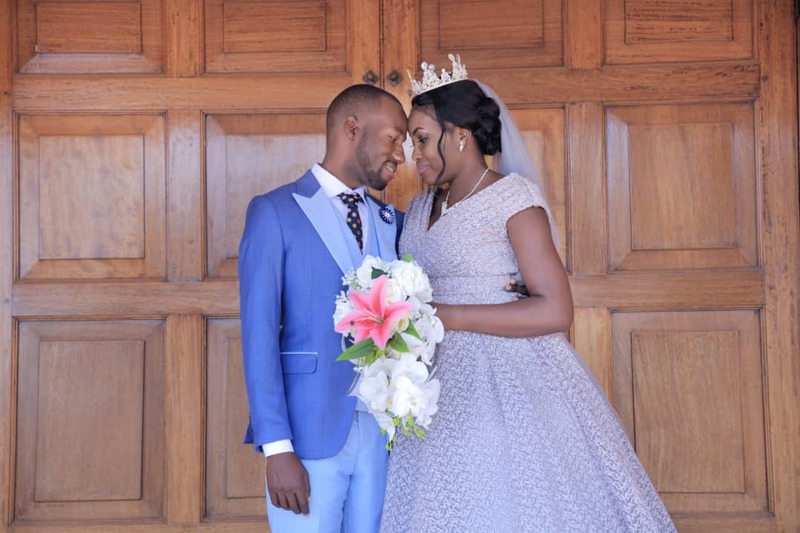 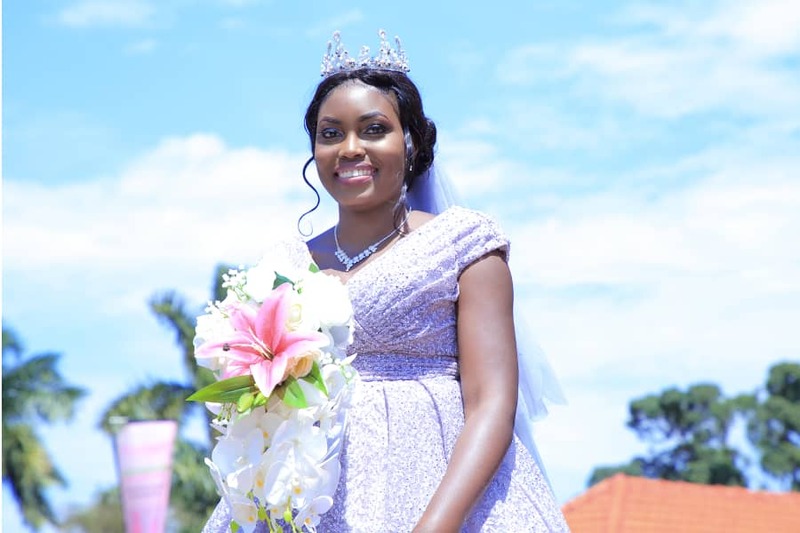 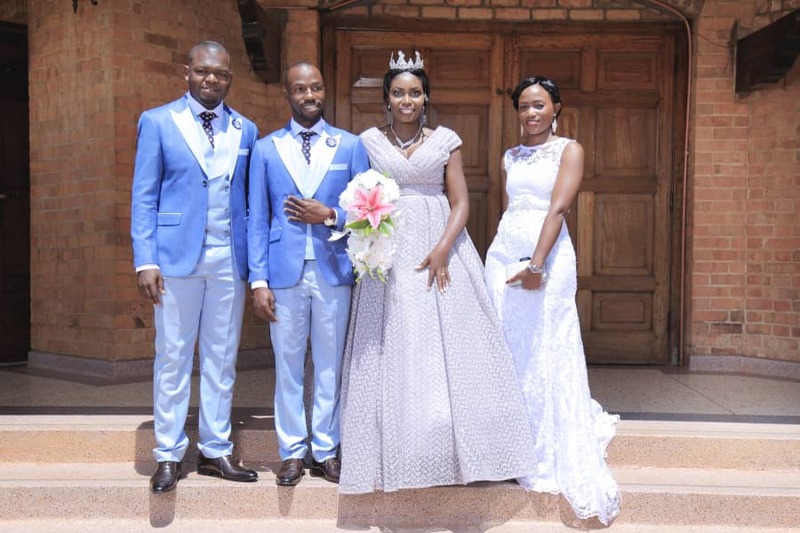 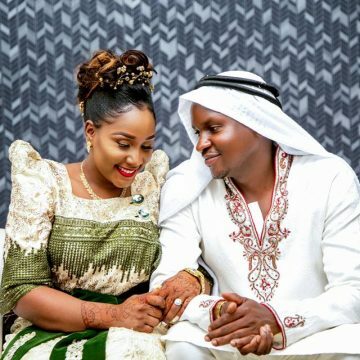 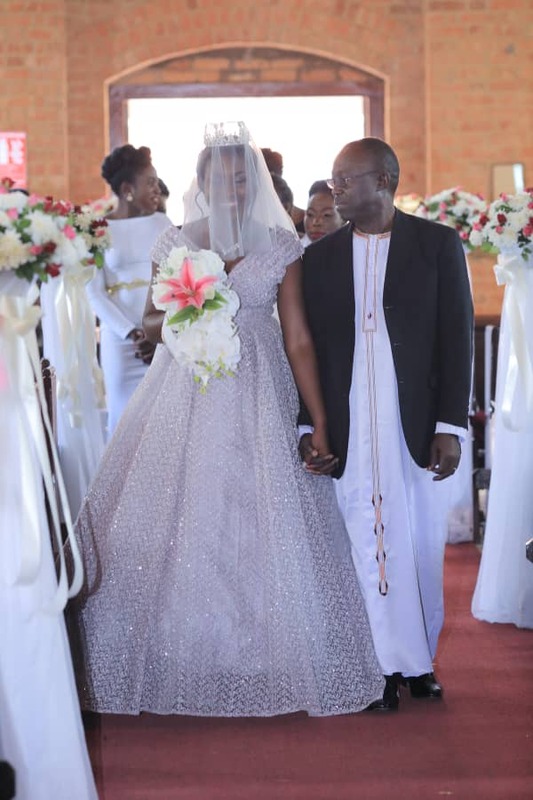 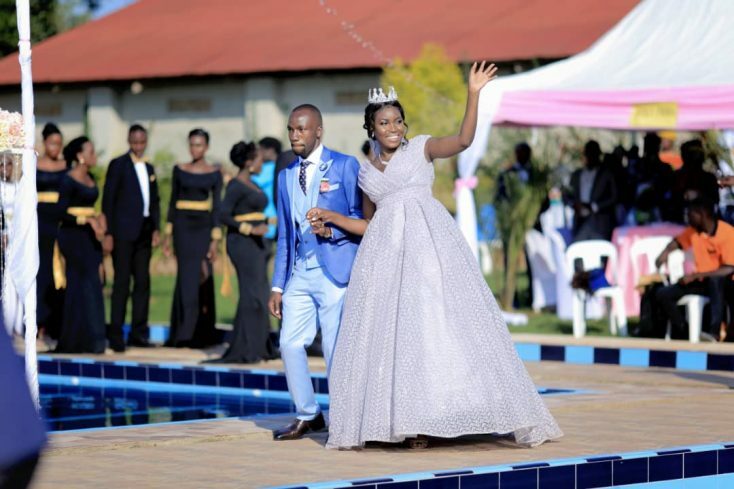 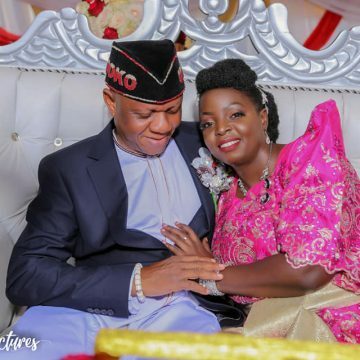 The two lovebirds exchanged their vows on Friday 20th July 2018 at the holy high grounds of St. Paul’s Cathedral Namirembe before Joy adopted her hubby’s name, Musisi to become “Joy Keziah Musisi”. 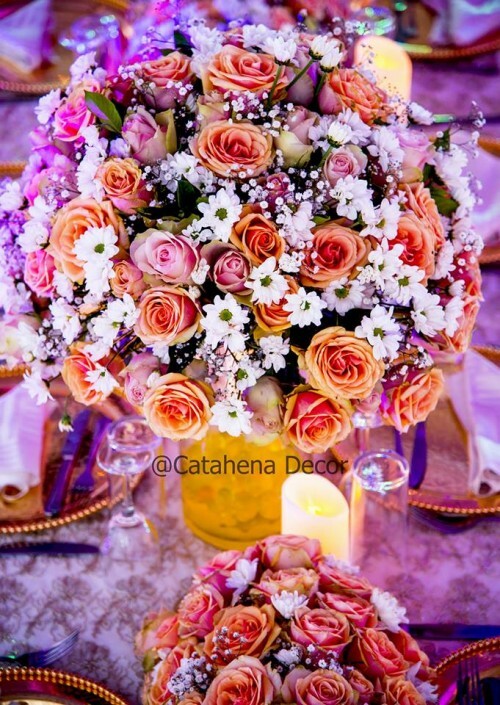 “The morning of the wedding went so fast. 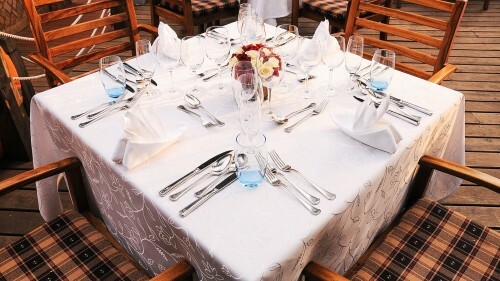 I can hardly remember but everything fell in place. 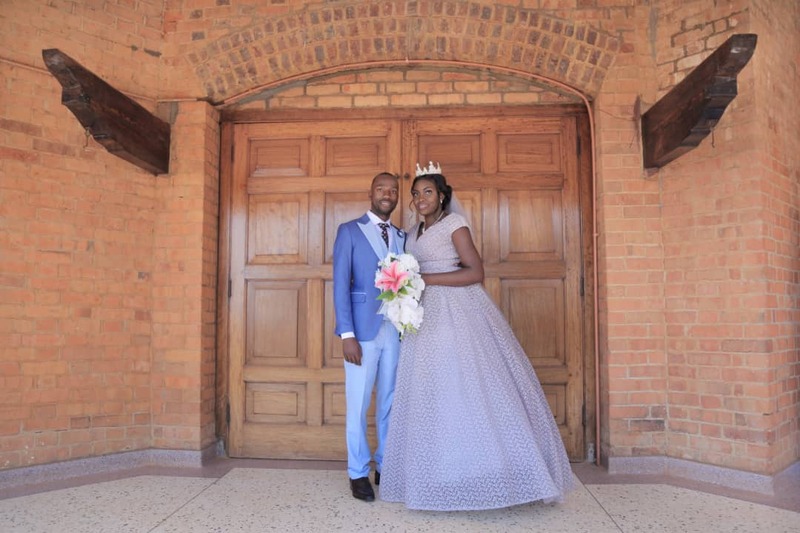 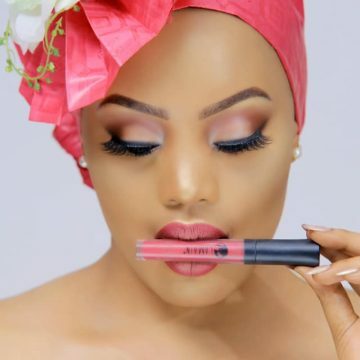 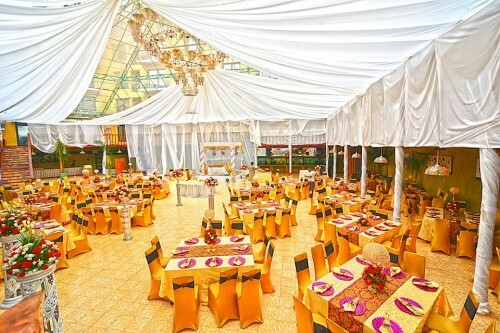 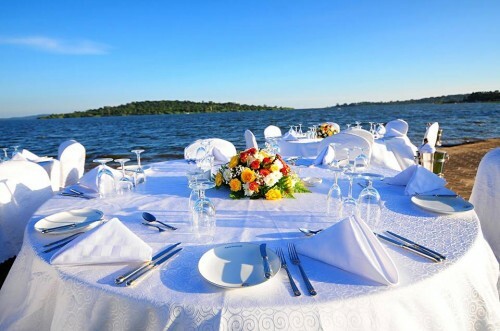 From the vows at Namirembe cathedral to the poolside reception, everything was spectacular,” Joy recounts about her wedding day with Anderson. 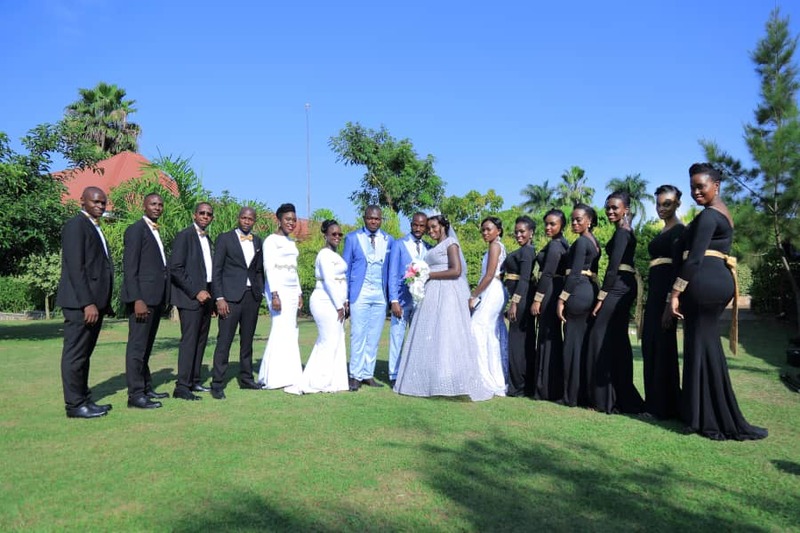 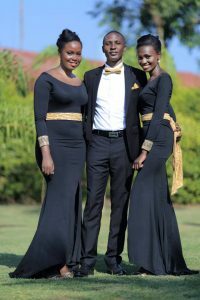 The couple chose unique dresses in pink for flower girls and black attires for bridesmaids; and wow!!! 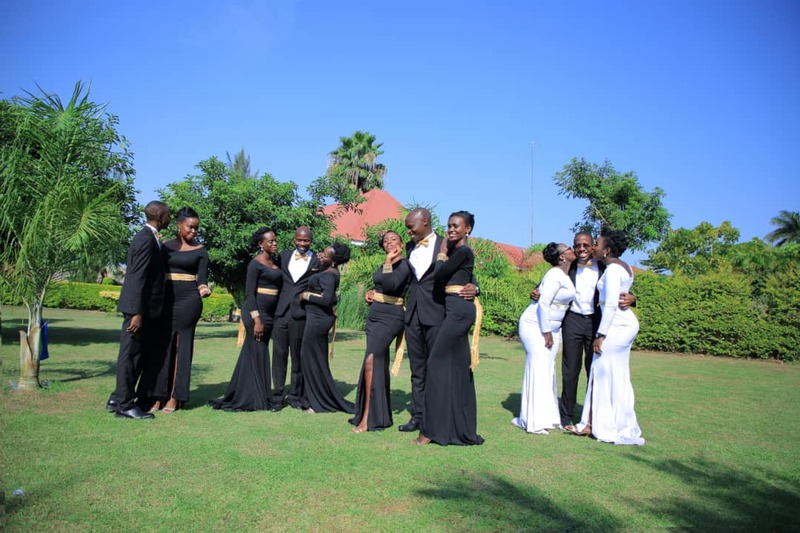 They looked flawless. 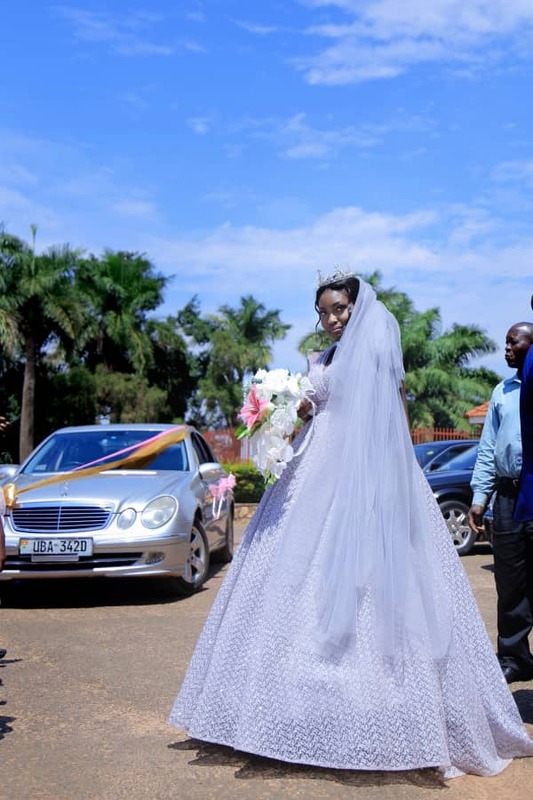 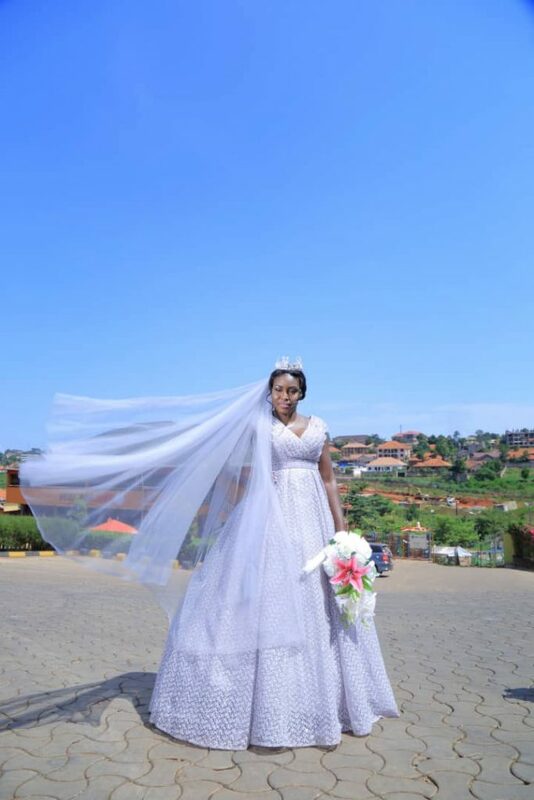 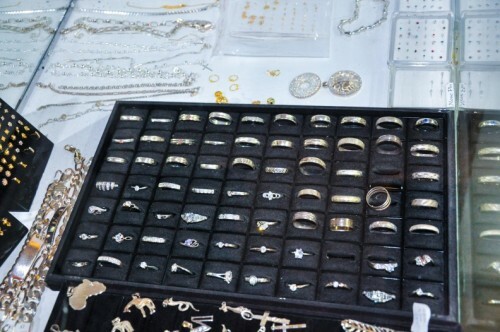 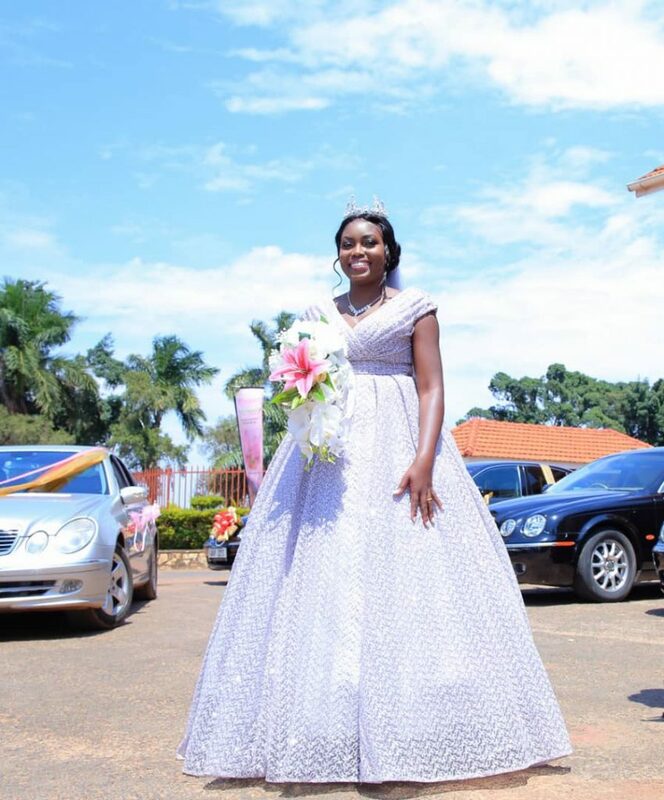 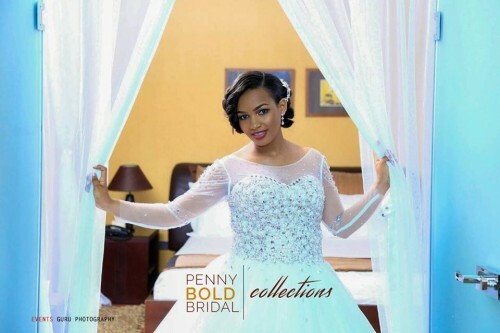 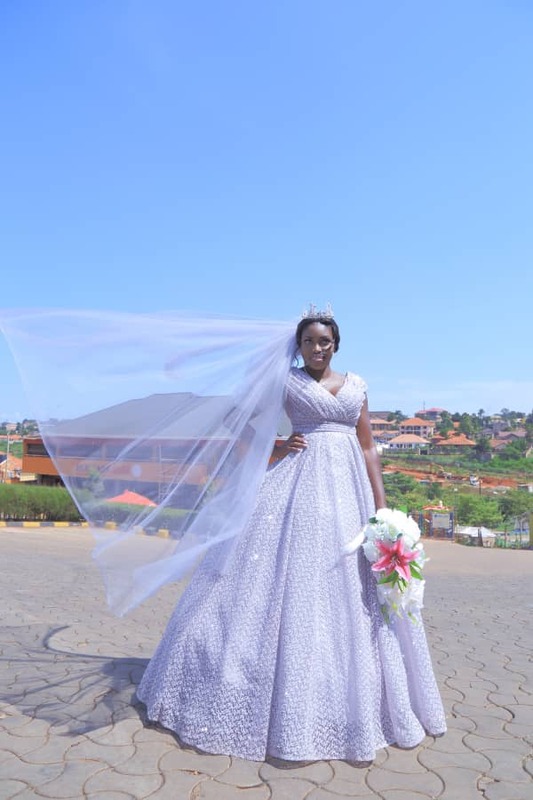 Joy defined her special day with a silver-grey wedding gown and a white dress for Bridget Nakaayi, the maid of honor. 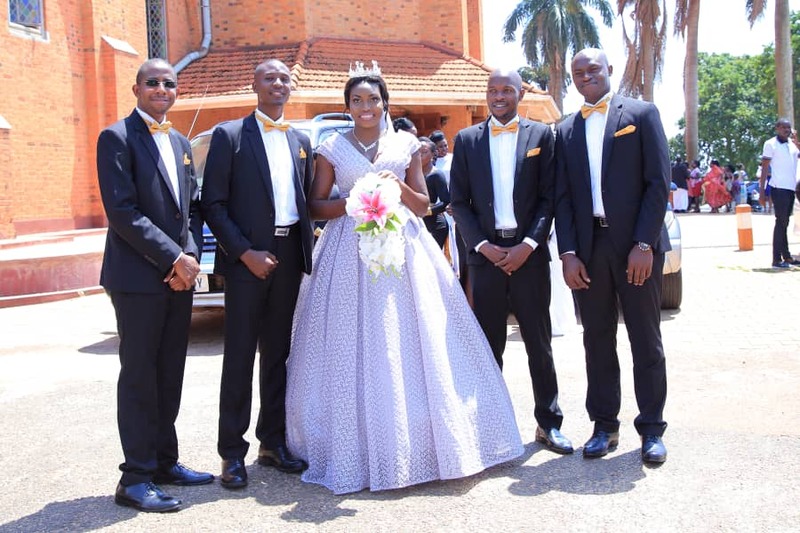 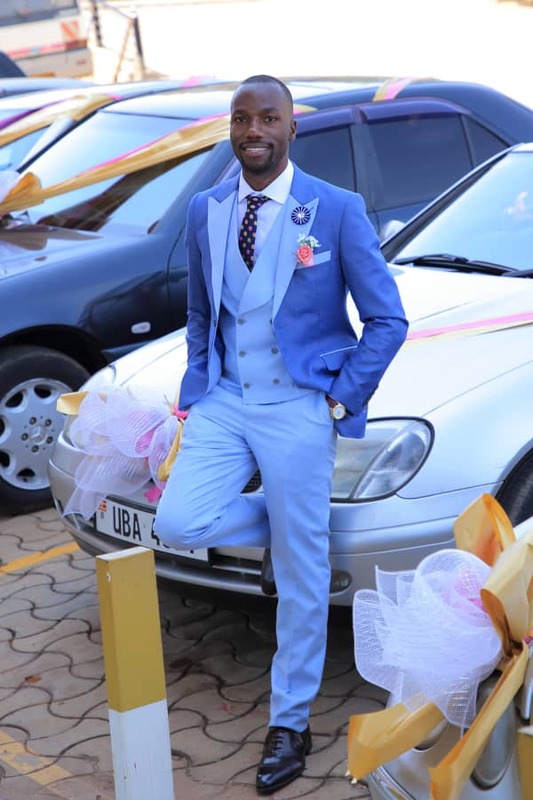 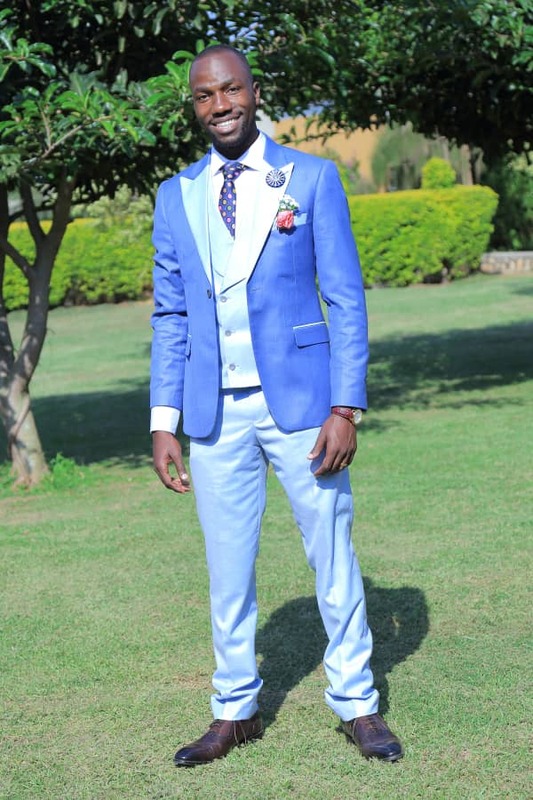 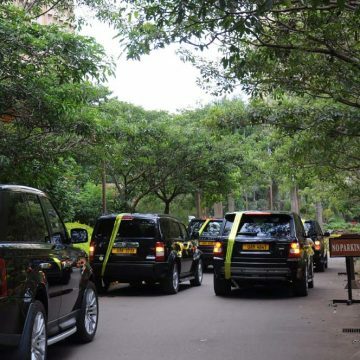 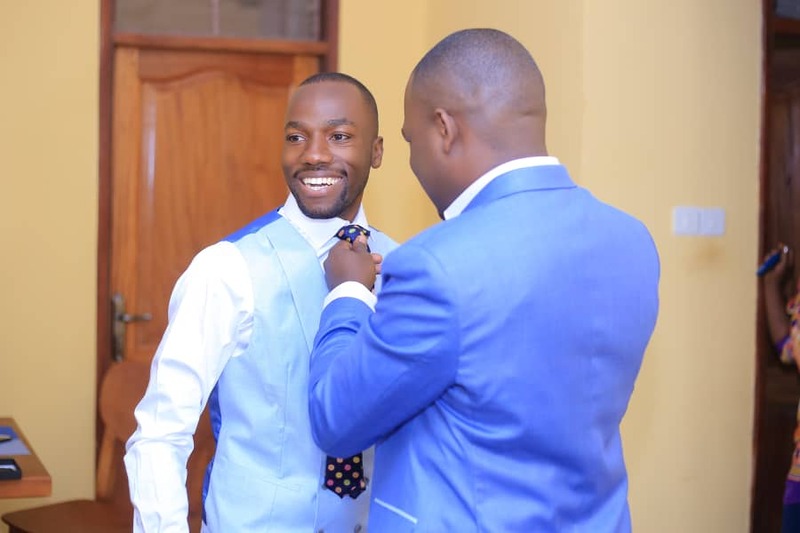 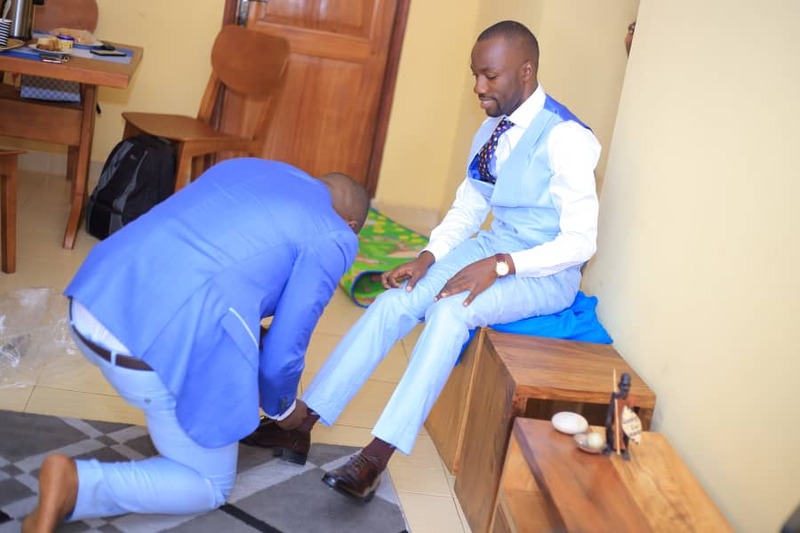 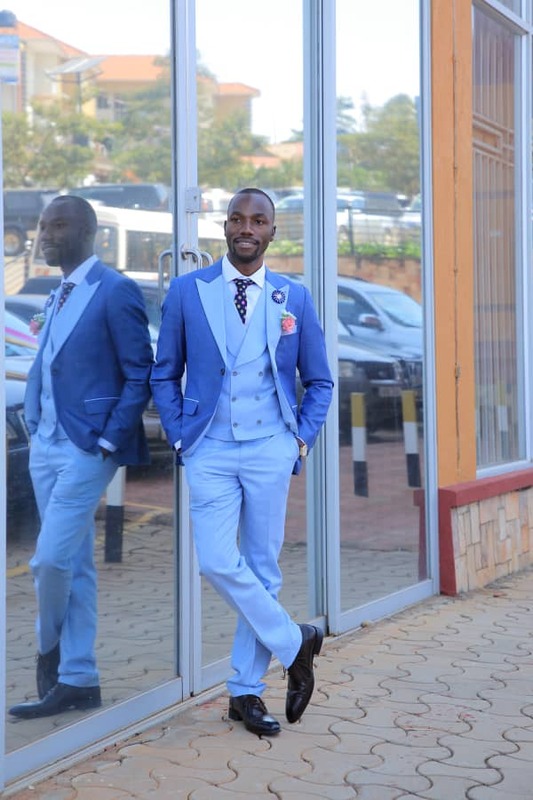 Meanwhile, Anderson and his best man Arthur Kayanja clad in sky blue three-piece suits adorned with peacock ties as the other groomsmen donned on black suits and gold bow ties. 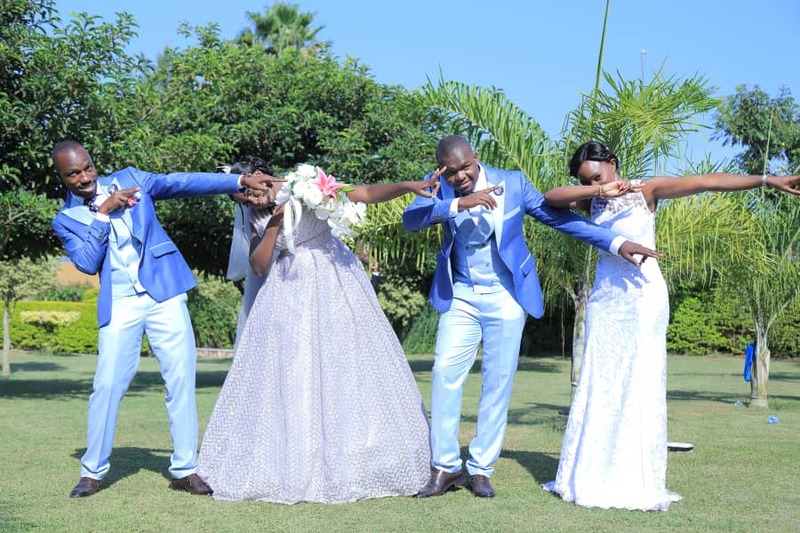 “It was picture perfect,” the bride said.